A Huntingburg man landed in jail Monday evening after he was said to have made numerous threats towards another person before and after making unwelcome entry into the victim’s apartment. Shortly after 8:30 last night, officers with the Huntingburg Police Department were called to an apartment building located along the 200 block of North Walnut Street after receiving reports of threats being made. When police arrived they spoke with the victim who told authorities that 31-year old Thomas Burch of Huntingburg had showed up and entered the home without knocking or being allowed entry. The victim also told police that Burch had made several threats towards him while he was there. Burch was later located on the property and walked away from police, apparently speeding up after being told to stop. Police say while in custody, Burch began yelling and causing a bigger scene despite being told to calm down several times. 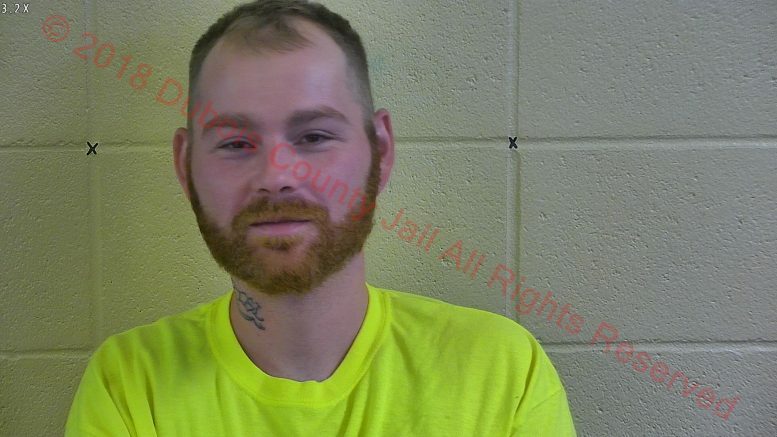 Without further incident, Burch was taken to and booked into the Dubois County Security Center in Jasper on Level 6 Felony counts of Residential Entry and Intimidation as well as misdemeanor counts of Resisting Law Enforcement, Public Intoxication and Disorderly Conduct. Be the first to comment on "MAN ARRESTED MADE VERBAL THREATS WHILE ENTERING VICTIM’S APARTMENT"